Comments: There have been many interviews sought out by die-hard ThunderCats fans wanting to hear from their favourite cast member or just gain more knowledge of their favourite show growing up – and we here at ThunderCats Lair have that same objective. We strive to provide our fans with the rarest audio interviews from hard-to-find cast members – and have so far achieved that goal. But there was one interview that, for years, fans have pleaded for to no avail… until now. Yes, we here at ThunderCats Lair have finally managed to secure one of the rarest exclusive audio interviews EVER – with none other than the voice of Panthro himself, Earle Hyman! For those who don’t know how important this interview is, Warner Bros. couldn’t even get this man for their DVD documentary. This is a man that’s so reclusive that rumours have circulated about his apparent ‘death’ for years – including from his fellow cast-members! But we’ve successfully tracked him down and interviewed him in an exclusive, first-ever ThunderCats fandom interview. 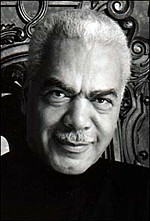 In a whopping one hour and thirty minutes, Earle Hyman discusses everything in his career from his amazing stage career right down to acting on The Bill Cosby Show as Russell Huxtable, the father of Bill Cosby. Find out how Earle became an actor, what inspired him, and listen as he gives us a step-by-step process of his stage career, each project and his inspirations and love for acting. What methods does he apply? Listen to how he came to learn Norwegian just to play Isben in Norway – you’ll soon find out just how dedicated Earle Hyman is to his craft. Some of his answers he gives to the questions are absolutely worthy of listening to again and again – as he tackles it the only way Earle can: with the powerful, deep unforgettable voice that most of his collegues and fans remember him for! However, we wouldn’t be ThunderCatsLair.org without asking him about his time on ThunderCats and Earle answers everything we’ve always wanted to know – including giving us a few unknown facts! How did he ‘find’ the voice of Panthro? This extremely personal story just makes us realize just how brilliant Earle Hyman as an actor is to be so insightful and deep into how he felt about the character he portrayed. His story is so amazing that it’s worthy of mentioning and is one of my personal favourite moments from the interview amongst many others. Find out who Earle Hyman actually replaced on ThunderCats as Panthro not to mention how he felt about his work on the show. He discusses his colleagues on the show, juggling the show with Bill Cosby along with his stage-acting, why ThunderCats appealed to him and so much more. Did he prefer stage acting to television-acting? What about his current projects? Do people recognise him more as Russell Huxtable or Panthro? We asked him all this and more including asking him whether he’d take part in the new ThunderCats CGI-animated movie. There are many reasons to download this interview – but if you still haven’t decided, I’ll actually give some of my own: you need to download this interview simply because this is Earle Hyman, a great stage-actor in his own right and a rare man to find. For all the wonderful, insightful and brilliant tales he gives on stage-acting, ThunderCats and Bill Cosby. And, most important of all, because this is Panthro! We are honoured and proud to include the great Earle Hyman as one of our main, exclusive audio interviews and make him apart of ThunderCatsLair.org – and with that, we invite you to download, free of charge, probably one of the best interviews you’ll hear from this website yet.